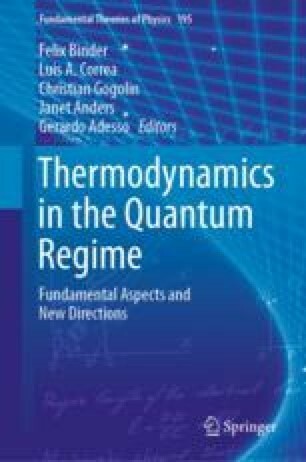 In this chapter we address the topic of quantum thermodynamics in the presence of additional observables beyond the energy of the system. In particular we discuss the special role that the generalized Gibbs ensemble plays in this theory, and derive this state from the perspectives of a micro-canonical ensemble, dynamical typicality and a resource-theory formulation. A notable obstacle occurs when some of the observables do not commute, and so it is impossible for the observables to simultaneously take on sharp microscopic values. We show how this can be circumvented, discuss information-theoretic aspects of the setting, and explain how thermodynamic costs can be traded between the different observables. Finally, we discuss open problems and future directions for the topic. EHM is funded by the EPSRC, DJ is supported by the Royal Society. YG acknowledges funding from the FWF START grant Y879-N27. PhF acknowledges support from the Swiss National Science Foundation (SNSF) through the Early PostDoc.Mobility Fellowship No. P2EZP2_165239 hosted by the Institute for Quantum Information and Matter (IQIM) at Caltech, from the IQIM which is a National Science Foundation (NSF) Physics Frontiers Center (NSF Grant PHY-1733907), and from the Department of Energy Award DE-SC0018407.